After the first week of school or so, you’ll quickly find that UCLA students involve themselves in practically anything and everything. It puzzled me at first that everyone I met seemed to work a part-time job, intern at a well-known company, hold a leadership position in a club and have stellar grades, too. These people lead, either by using social media, working with clubs or performing on stage. Through their hard work and dedication to their crafts, they will surely make it big someday. These 10 students at UCLA work their darndest to achieve their dreams and affect change in the world around them. President of Liberty in North Korea at UCLA, Grace Park spearheads one cog to a huge national organization also known as LiNK that works to free the 25 million North Koreans. LiNK at UCLA mainly raises awareness about the cause and fundraises; it takes $3,000 to rescue a refugee. LiNK works hard to flip the narrative, as Park said, by changing the way people perceive North Korea. Rather than just associating North Korea with Kim Jong Un, Park and her club tell people that North Koreans do suffer and do not live like human beings in their home country, but many of them do actively work to start change. “Here, we want to make it tangible; we want to make individuals feel like that they have the power to do something, to accomplish something so impossible, like trying to free North Koreans,” UCLA senior Park said. 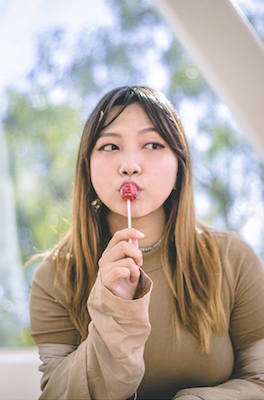 LiNK hosts several events for awareness such as lectures, during which North Korean defectors speak about their experiences, food sales on Bruin Walk, an art exhibit and a Spring Benefit Concert. “I just try to be there for my team, I try to be there for my E-board, and show them that, even though we’re all busy students, there is this mission that would be so great, that people need us…At the crux of it all, I want to be there for my team members in a way that they feel compelled to help out the North Koreans themselves,” Park said. After speaking to Park in person, her passion and energy definitely drew me in, and made me want to join up in arms with LiNK as well. You can’t make it in fashion without at least knowing someone who knows someone in the industry, but that didn’t stop president of FAST, Katie Kim, from starting to make it her career as an undergraduate. As president, Kim oversees her executive board and 200 plus members, making sure the club’s 10 internal committees, editorials and online campaigns all run smoothly. “FAST (Fashion and Student Trends) is UCLA’s first and only fashion club. As UCLA does not offer a fashion design major or minor, FAST enables undergraduates to explore their personal creativity, culture and fashion sense at UCLA. FAST’s biggest event of the year is our student-run, designed and modeled industry-level runway show, which happens in the spring in Pauley Pavilion,” UCLA senior Kim said. FAST’s popular annual runway show offers students a special chance to catch a glimpse of a big fashion or PR attendee, or a great time to cheer on their fellow students strutting in beautiful clothing. The amount of manpower, effort and hard work the runway show must take deserves recognition in itself, and as president Kim takes the reins for it all. “I believe fashion is the most personal form of art, and you should never be afraid to push your limits and try new things, especially when it comes to what you wear. Personally, besides being just a passion, I was fortunate to have landed a full time job offer as a Fashion Buyer for a Fortune 500 clothing company after I graduate next spring. I hope to show my peers that fashion can be a lucrative professional career, and not just a hobby,” Kim said. If you get excited to dress up for the day, check out FAST and join Kim in discussing some of the hottest trends on campus. 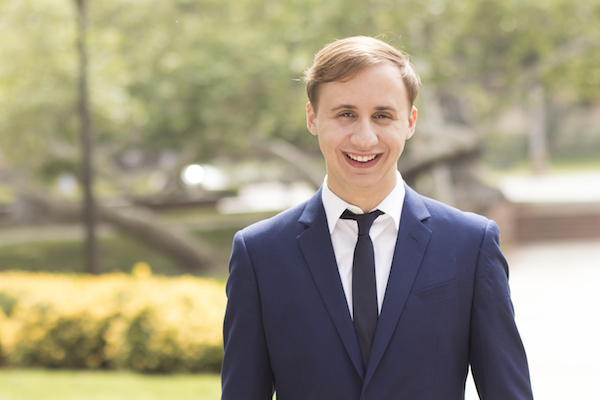 Robert B. Watson, the new Internal Vice President of UCLA’s Undergraduate Students Association Council (USAC) proves student government does a great many things. Watson’s passion for government and politics started in high school, and he involved himself with UCLA’s USAC after passing by its table at the annual Enormous Activities Fair. After interning for the Office of the President in his first year, Watson steadily climbed ranks. As the new Internal Vice President, Watson has big plans like the creation of the GCGP Redistribution Center. Watson and the other officers of student government wanted to help the many college students that struggle to afford basic necessities such as school supplies, menstrual products, sexual-health products and clothing items. “This center really changes everything, in that regard. The ability for students who have a surplus of these items to donate them back to other students on campus who have a deficit of those same items is a game-changer. Not only does it foster a self-sustaining community on campus of students giving back to students, but it finally gives free access to items that students otherwise would have to purchase,” Watson said. As an university with a notorious couch-surfing population, the GCGP Redistribution Center seems like the exact resource students need. 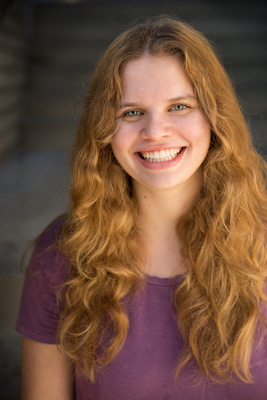 UCLA junior Danielle Koenig started acting in preschool and her passion for it has continued to today. “My job is to make every performance as grounded and truthful as possible for the audience. That means doing warm ups before shows and rehearsals, becoming close with my fellow cast-mates, and doing research on the play itself—the time period it took place, the playwright, the history of the play,” Koenig said. She recently starred in The 25th Annual Putnam County Spelling Bee as presented by the Act III Theatre Ensemble and UCLA Residential Life. Koenig also participates in Rapid Fire Improv and works for the Office of Residential Life on their Program and Event Management Team. Her work as an actress and comedian shone brightly on one of the biggest stages at UCLA, Spring Sing, and she brought laughter to 13,800 people in Pauley Pavilion through live skits and comedy clips just this past June. In order to make time for academics, work and rehearsals, Koenig has masterful time management like no other. “I’ve found that carving out one day a week as a work day has been very helpful for me. Sundays I spend almost all day doing homework for the entire week so that during the week I can focus on the extra curriculars that, in some cases, I feel have been more helpful to my growth than my classes,” Koenig said. With an already impressive resume, maybe one day we’ll see Koenig on the big screen. A leader in all regards, Leon Powell has represented UCLA student athletes on various occasions. Not only a leader on his track and field team as a senior staff, a student acting as a kind of captain without the implied hierarchy, a kind of acting captain, but he also became certified to help other student athletes with mental health as marketing coordinator in Student-Athlete Mentors. “Student leaders on their teams have to get certified where they can actually assist fellow student athletes in mental health and wellness. It’s pretty much a mental health and wellness organization, and it focuses on improving the mental health of student athletes who so often go through anxiety, or if they’re stressed out, or things go on outside of their sport,” UCLA senior Powell said. Due to his work with SAMs, Powell travelled to Memphis, Tennessee to participate in the Apple Institute. “The Apple Institute is pretty much a huge conference for those organizations throughout the entire nation to come together and speak about mental health and wellness, and share all of their insights from their personal university. With the exchange of insights, we take back what we learned to our university to promote mental health and wellness even further,” Powell said. His humble tone over the phone only made his achievements that much more impressive. Similar to the Apple Institute, the Pac-12 also invites two athletes, one boy and one girl, to represent their respective university and participate in a conference in San Francisco, California. 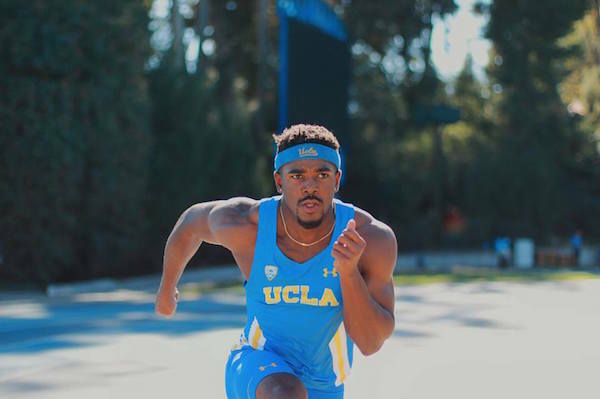 Since Powell had worked on marketing and social media with the Bruin Athletic Council, a student council only for athletes, he represented UCLA to the Pac-12 as well. In light of all his involvement, Powell recommends students prioritize tasks based on urgency and importance. Most importantly, Powell attributes his desire to lead to his team and his success to his support system. “I want to win together. Track is an individual sport, I could just be selfish and focus on myself, but I think that it’s worth more when you win as a team. I love collaboration, I love working together…I think a combination of wanting to collaborate and meet new people, and socializing kind of molded me into a leader,” Powell said. With a full-time position waiting for him at Google, Powell will certainly continue to lead others by excellent example. To some, K-pop may still seem like a genre confined for Asian Americans and Korean-obsessed girls, but its popularity around the world only continues to rise. 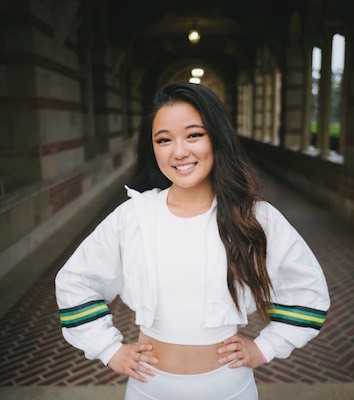 Making an impact in a very different way, President Sarah Chi of K-pop dance cover group Koreos works to spread the love for K–pop across UCLA’s campus. Even as a student organization, Koreos’ work takes a very public stage. Since 2014, Koreos’ dance covers have garnered quite a following with over 638,000 subscribers and millions of views. With that many subscribers, Koreos takes the dance covers they upload very seriously. “The main job I have is managing our YouTube and social media, so I make sure our videos have the best quality both pre and post-production and that they get marketed well. Right now we are organizing auditions and workshops so I am involved in organizing promotions and logistics,” UCLA senior Chi said. Only four years after their start, Koreos has a reputation to uphold, and you can catch them performing on multiple occasions throughout the year such as for Hanoolim, at K-factor and even at KCONLA. “Don’t be afraid to fail, and just go for it! Nobody starts out perfect and if your passion lies in dance or sharing dance with your community, I would say nothing is stopping you!” Chi said. Don’t be afraid to pursue your passions like Chi did, they may bear more fruit than you expect. Want to build up your resume as an underclassman, but not sure how? Become a Campus Ambassador like UCLA junior Mikee Lachica. As an Ambassador for Hubert’s Lemonade, Lachica infuses her optimistic and cheery personality into spreading the word about the brand. Getting a bottle of Hubert’s Lemonade from Lachica feels like receiving a drop of sunshine, not a bad association for lemonade. “I look for opportunities to introduce Hubert’s Lemonade to campus orgs and events and do demos in-store that have Hubert’s Lemonade. As Campus Ambassador, I become the face of Hubert’s Lemonade at UCLA,” Lachica said. Other than her Ambassador positions, Lachica also does graphic design. She started from zero experience as a freshman and gradually learned designing for her job as the program assistant to the Pilipino Floor. Lachica now works as the Design and Logistics Director for Her Campus. 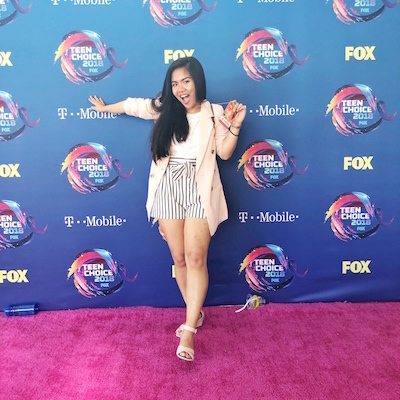 “My job as Design Director is to envision fun, creative [and] witty promotional aspects to an event or program and to bring it to life in forms of digital and material promotional content through promotional flyers, Snapchat filters, Facebook banners, tabling layouts and more,” Lachica said. “I oversee a committee of creatives, hardworking individuals who dedicate themselves to the craft—graphic designers, photographers and videographers. As a team, we bring the aesthetics of Her Campus UCLA to life.” Even as a junior with a leadership position in a club, Lachica stays grounded with her supportive family and community. To get a headstart on your career, spread your interests and skills in different directions like Lachica. Ever since he started learning his ABC’s, Irvin Mason Jr., knew his destiny resided on the stage. Mason Jr. started acting in third grade at his community theater in his home, the US Virgin Islands, and has appeared in over 15 productions since then. However, his interests reach farther than just performance. Mason Jr. participates with the of Pediatric AIDS Coalition, where he pledged to take “a literal stand” against HIV/AIDS by dancing for 26 hours and raising 787 dollars towards finding an end to the epidemic. Now, he pursues a theater degree with a concentration in directing and even performed as part of the comedic Company for Spring Sing 2018. 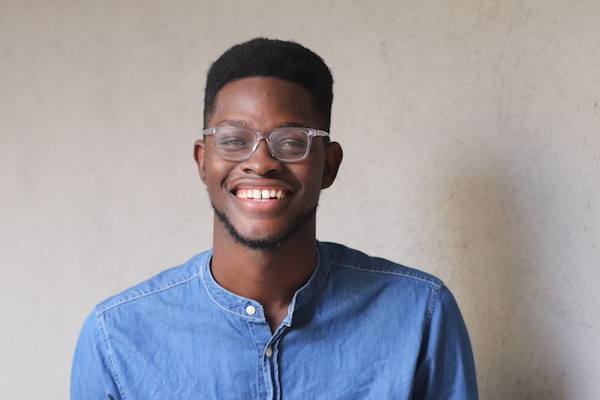 He also collaborated with other UCLA students to create The Color Box Production Company, a company whose purpose is to create an inclusive performance space for all students, no matter their race, gender or sexuality. The company works to “enhance, stimulate and celebrate understanding of one’s self and others through the shared experience of live performance.” “[I] try my best to be a catalyst of change for the UCLA community and for all other communities surrounding UCLA,” Mason Jr. said. Mason Jr. always puts forward his best effort, especially considering his involvement in so many different activities. “Something my brother told me when I had made the decision to go to college for theater, was that if I really love theater I need to give it 150 percent or don’t do it all. He said to make sure that I always did my best within my major at UCLA because he knows that the arts are such a hard field to get into,” Mason Jr. said. Through his various efforts, Mason Jr. proves that creatives also do their part and have stakes in real world matters. What glass ceiling? Through all her hard work on campus, senior Sara Zaghi proves that women deserve and thrive in leadership roles. 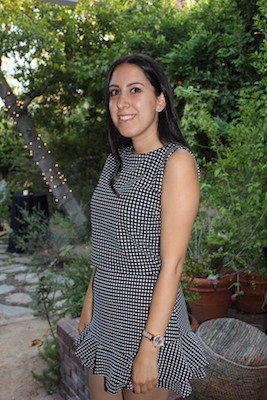 As a junior, Zaghi oversaw the Editorial Team as the Editor-in-Chief of Her Campus and now works as both Her Campus at UCLA’s Campus Correspondent and president of the Persian Community at Hillel at UCLA. “As Campus Correspondent I am responsible for managing our team of writers, social media directors, graphic designers, event planners and more. I coordinate with UCLA and Her Campus nationals to plan events for our audience and create a community for college women,” Zaghi said. In terms of PCH, Zaghi described it as a cultural, social and educational club that creates a welcoming community for Persian-Jewish students at UCLA. “My advice to students would be to take advantage of all the opportunities at UCLA. We are lucky enough to attend a campus with so many diverse organizations, events and resources. Stay open to new ideas, new foods, new people and new experiences—you never know what it might lead to,” Zaghi said. Perhaps one day, we’ll see Zaghi as head of her own magazine or Editor-in-Chief at a major publication. 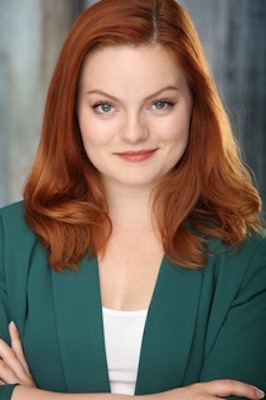 Molly Livingston takes leadership of stage productions to a whole new level; last year, she co-wrote her own play, Plain Jane. “I’d always loved Charlotte Brontë’s Jane Eyre, and as I started molding the story into what would become Plain Jane it took on more and more personal significance,” said Livingston. “My composer Max Havas and I spent a full year writing, then staged it as our senior capstone.” But Livingston didn’t just write her own musical—she directed it too. “A director’s job is to inspire creativity in collaborators. Writers give other artists the ground rules and flavor of the world. When the two collide, it’s a balancing act. Aim to be an encyclopedia of the world you want to build, but don’t ever stop listening to the creative voices of others,” Livingston said. 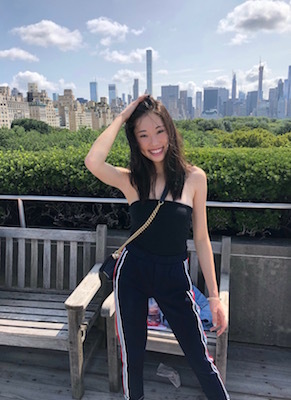 Kaitlyn Tang is a third year English major at UCLA. When not going to school, she loves to immerse herself in fantasy novels, critically acclaimed films, and K-pop.